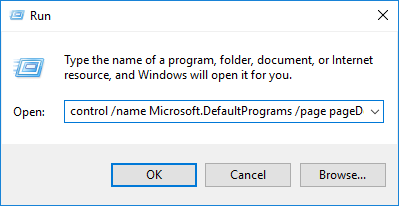 Setting up a new softphone (Specifically the Comcast SoftPhone application) on some Windows 10 machines and the “Choose Default App” within Windows 10 was not letting me select a custom .EXE application to open with the tel: URL protocol. I found a work-around buried in the old Control Panel options. 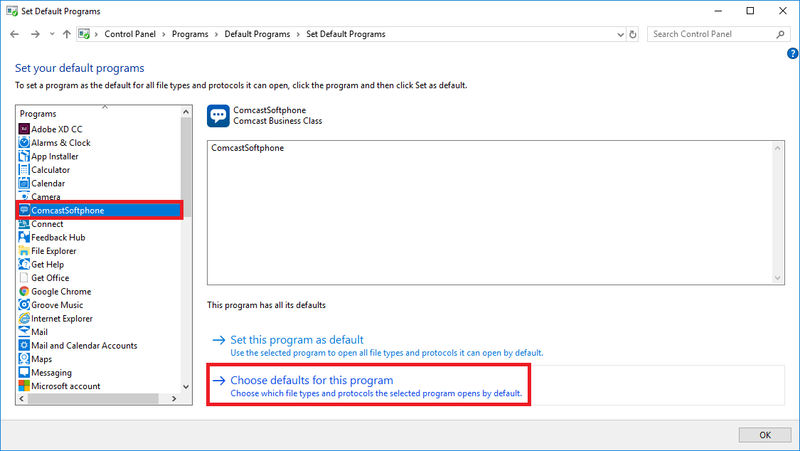 Here is a quick, step by step guide to make changes to the tel: URL protocol in Windows 10. On your keyboard press the “Windows Key” and the “R” key at the same time. Step 2: Select the app you want to open when tel: is clicked. Select the app you’d like to open the tel: URL’s (in my case it is the Comcast Softphone app, but it could be any app for you). Step 3: Select TEL and save! 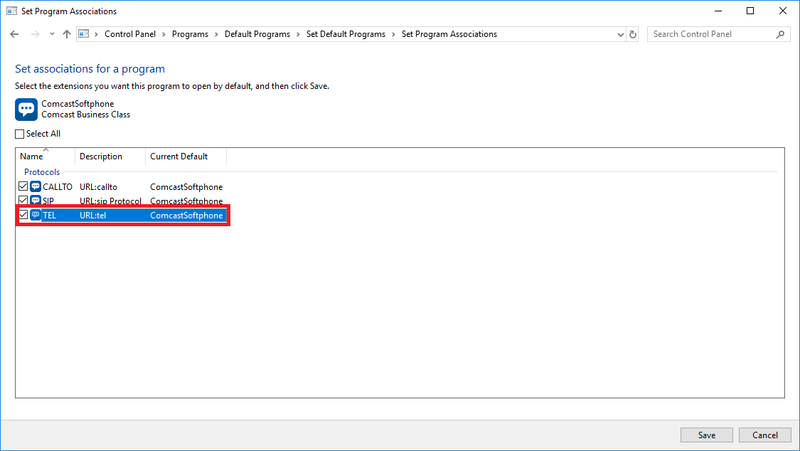 Select the “TEL” (URL:tel) option and then click save. That is it! You are done! Next time you click a tel: URL it should open with your previously selected app!